On the auspicious occasion of our 71st Independence day today, Nawazuddin Siddiqui has unveiled the most awaited trailer of his forthcoming film ‘Manto’. 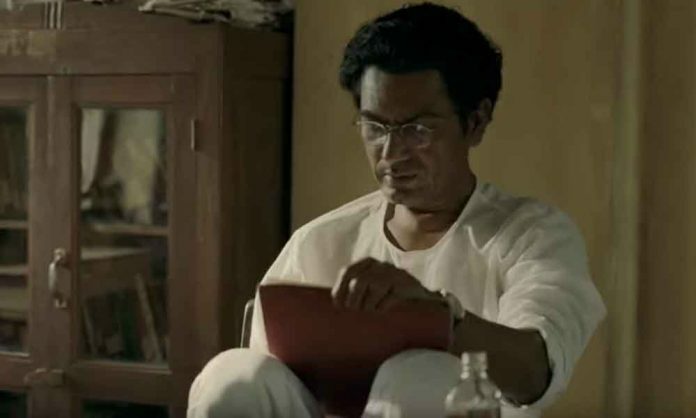 Nawazuddin was currently basking in the success of his recently released web series, ‘Sacred Games’ and now with the release of ‘Manto’ trailer, looks like the actor will yet again be flooded with accolades for his stellar performance in and as ‘Manto’. What it’s like getting into the skin of your character only Nawaz can reveal. With such panache he has pulled out his new character, that audience are running short of words to praise him. ‘Manto’ is a biographical drama based on the life of Indo- Pakistani Urdu author- writer, Saadat Hasan Manto. In the film, Nawazuddin plays the titular role of Manto. Directed by Nandita Das, ‘Manto’ is all set to hit the silver screens on September 21, 2018.